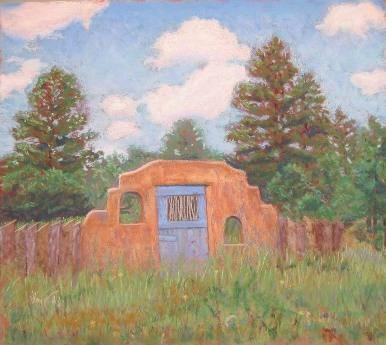 This origianl pastel painting is of an arched gate in New Mexico out in a field by itself....no houses or anything. I really love the blue of the door & sky against the adobe color of the arch. It makes me think of a beautiful summer day.